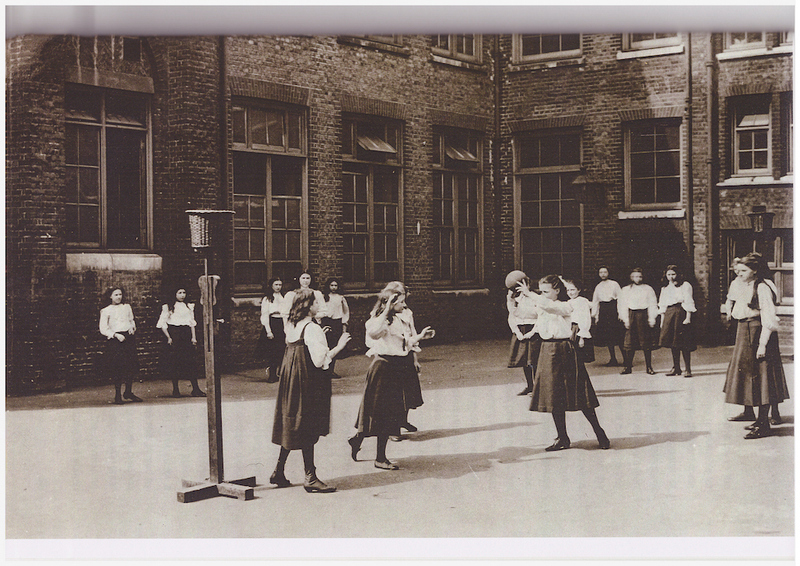 You are here: Home>Netball in England>Colleges>Early kit and new gymslips! 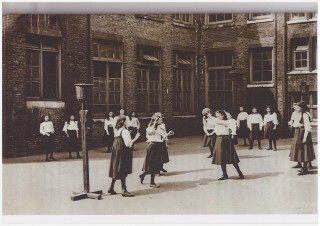 In the early days of young women’s sport, coverage of the female body was accepted as normal. Note the long skirts, white long-sleeved blouses, black stockings and ‘normal’ shoes. The playing area… with a basket instead of a ring on the post… and no lines! 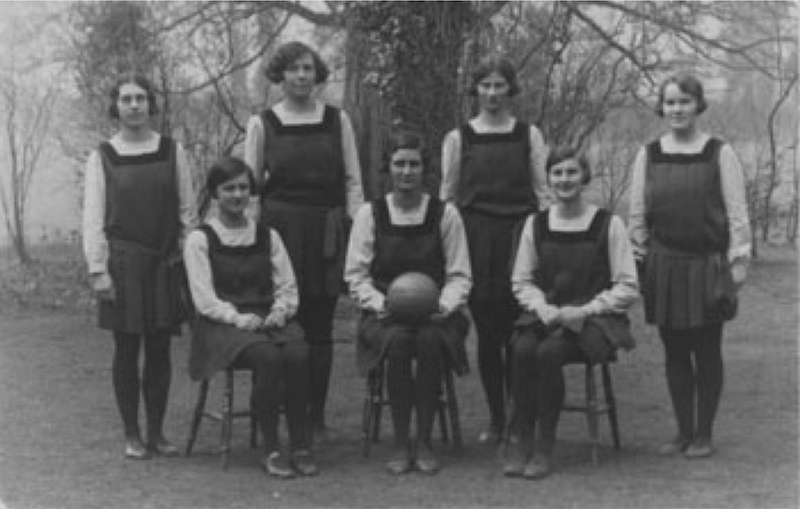 In 1897, one of Martina Bergman-Österberg students, Mary Tait, invented the gymslip: a dress that facilitated practical movement for women playing sport, replacing the ground-length skirts and mutton-arm blouses that were normally worn by contemporary sportswomen. Madame adopted the new apparel for her students, which became a standard uniform among British schoolgirls during the 20th century (note the black stockings too).